We, from AMIHAN National Federation of Peasant Women from the Philippines warmly greet your first chapter anniversary. 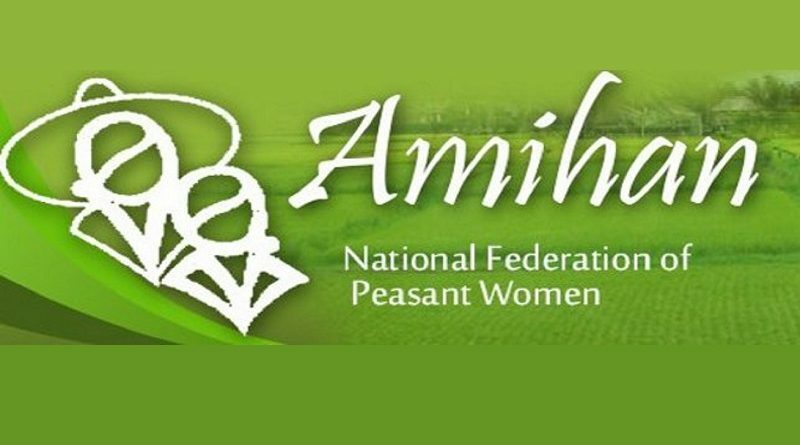 AMIHAN carries forward the call for genuine agrarian reform, national industrialization, and an end to all forms of exploitation and discrimination especially against women in the countryside. Luckily, during the ILPS Assembly here in the Philippines in 2015, I was able to watch the short videos about Guatemala and I was impressed by the enthusiasm and revolutionary spirit guiding our comrades there. The chapter building was also announced there where I noticed the active participation of the women representatives in this endeavor. Arouse, mobilize and organize must be done side by side if we must advance our anti-imperialist struggle in our own country. We should have a firm standpoint not easily shaken by changing governments with the newly installed U.S. Trump administration. There will be challenges ahead and I’m sure the ILPS community will have a firm and clear position in the different issues affecting the working men and women of the world. We would be glad to hear from Guatemala their land and peasant women issues and learn from them. Again, Congratulations!